Thursday, January 7 (which is this Thursday) - A-Day groups - assessment meeting -bring your data from the semester test and be ready to share and make plans to curriculum, accordingly. RtI - Where are we with that? We will be reviewing grades and identifying the students who need to be moved up or down the RtI tiers (depending on where they were last time we met). Hold off on filling out any forms for new students until we identify those student who we will be having a Tier 3 meeting on (because it changes the form that you have to fill out). You should get that information by the beginning of next week. Please make sure you are at your door between classes each period! We have noticed a few of you absent from your posts and you are missed. Semester Exam Exemptions ARE BACK!! Perfect Attendance during the second semester in ALL YOUR CLASSES: EXEMPT 3 FINALS. NO MORE THAN 1 DAY ABSENT TOTAL in the second semester: EXEMPT 2 FINALS. NO MORE THAN 2 DAYS ABSENT TOTAL in the second semester: EXEMPT 1 FINAL. A student who has missed more than 6 absences per period in any class for the year may not be eligible to exempt ANY exams. At least an 80% semester average and an 75% final (yearly) average in the class the student is exempting. Exempting a final exam does not entitle a student to be absent on the day or period of the final. Students must still attend classes, regardless of exemptions earned. Students absent during finals will lose their exemptions in accordance with the above exemption criteria. For the sake of exemptions, any attendance disputes must be addressed and resolved with the attendance clerk within 3 school days of the absence or tardy. It is the responsibility of the student to pick up, fill out, and return the exemption form to Mrs. Sutton by the stated time and date on the form. No exceptions will be made. 1. Medical appointments which are documented with a doctor’s note furnished to the attendance office upon return to school. 2. Funeral for immediate family members up to 3 days. 5. Military deployment of an immediate family member. 7. College days (up to 2 per year). Just so that we are all on the same page with this...If you need to come in late to work, but BEFORE 10:00 am, you can find coverage for your class and not have to take a 1/2 day of personal leave. If you need to leave early, but AFTER 2:00 pm, you can find coverage for your class and not have to take 1/2 a day of leave. Of course, this only applies in cases when you have an approved reason to be absent (so, you still need to let me and Mrs. Sutton know you are going to be out). If you are going to only be gone during your conference time, you also do not need a sub. As cheesy as this sounds, even high schoolers need reminders about classroom expectations after a two week break. Don't assume that they know better. These first few weeks are almost as important as the first few weeks of the school year. Take some time to review your expectations! Please remember to give your feedback to Justin and me so that we know your perspective on things that need attention. You guys have great ideas and we want to hear them. Now, sometimes we can't make your dreams a reality (for example, the person who suggested we start school at 9 - great idea, but no-can-do with current bus situation in the district). But, we do review your input and we will make it happen if we can (if it's a good idea from a big-picture perspective). The forms will be hung up in the workroom (where you guys eat) through the end of this week. Monday, January 18, is an Inservice Day! Students have the day off, but we will be spending the day learning and working towards becoming even more awesome than we already are (can you even imagine?!). * Be prepared. If you cannot attend your duty, contact a back up person to cover your duty. If you do not get your duty covered, assume students will be unattended and unsafe in your area. ** Be prompt. Morning duty begins at 7:40 am and ends at 8:10 am. Grades MUST be updated weekly! This is in your employee handbook and our grading guidelines. It is super frustrating for a parent to get notices for failing work that is 2 weeks old. Please make sure you update them each week. Thanks! Announcements - please use the form! I really want to share our good news when students perform well at tournaments or basically anything. :) I have to count on the sponsors to use the announcement doc to make sure this gets done. Sometimes I get lucky and I remember scores and results, but the only way to ensure your team's stuff gets shared is for you to let me know. Did you know there is a key drop for the suburbans? If you drop off your suburban after hours, you can drop the keys in the small, locked box to the left of the entrance to the admin building. So, if a student failed your class for the 9 weeks, you need to be keeping data on the Tier 2/Pre-Referral for Tier 3 Form and you will be receiving a Teacher Feedback Form request from me for students who failed more than 2 core classes for the first nine weeks. We are going to be holding meetings over the next few weeks with their students' parents, teachers, and the student to come up with a new plan to help them succeed. If you pick up a cell phone from a student for improper cell phone use you can turn it into Mrs. Sutton to hold until the end of the day. The first time she gets a phone from a student, it is a warning and the parent has to come get it. The second time, they have to pay $15 and their parent has to come get it. Check out the transportation form to use when you need a bus or suburban – it can be found on Eduphoria, under Formspace; then "Submit New Form"; then "Transportation Forms"; then click on whatever type of transportation you need to request. Thanks! 1. Student maintains an 80% average or better in all classes. 2. This complete application submitted within 10 days of the last day of the preceding 9 weeks. 3. No documented technology referrals for improper technology use. 4. Principal approval of this application. 5. ALL teachers and parent approval signatures. There is a new Fundraiser Form! Please make sure you are using the newest Fundraising form for all your fundraising request needs. Tyra is the keeper of the forms and she will also be the one who you follow up with when you have to go back and document. When assigning big projects, like papers or group projects, chunk it up and create daily checkpoints along the way that you use to keep students on track and allow you opportunities to take grades along the way. An idea would be to have most of these checkpoints due by the end of a class period rather than giving them the option to 'finish it later and bring it in next class period'. Some of you have expressed a struggle with students not turning in work and not finding a way to take enough grades, so here's an idea! Please be sure to send me your SRA's prior to sending them out to the entire staff. 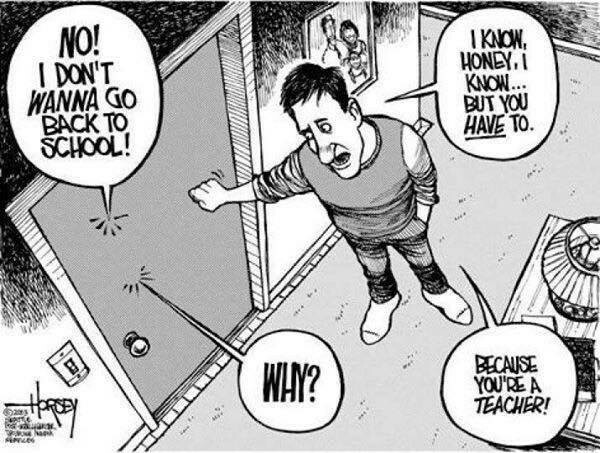 Since you are removing students from academic instruction, I would like to know about their departure before you send them out to everyone (just in case there are problems with coverage, a conflicting event, or questions about what time you are leaving). Thanks! Progress Report Dates for the Year! The first three weeks grading reports went well! If you haven't found the awesomeness that is our LVHS Staff calendar on google, please do so! These dates and several more are already on there!